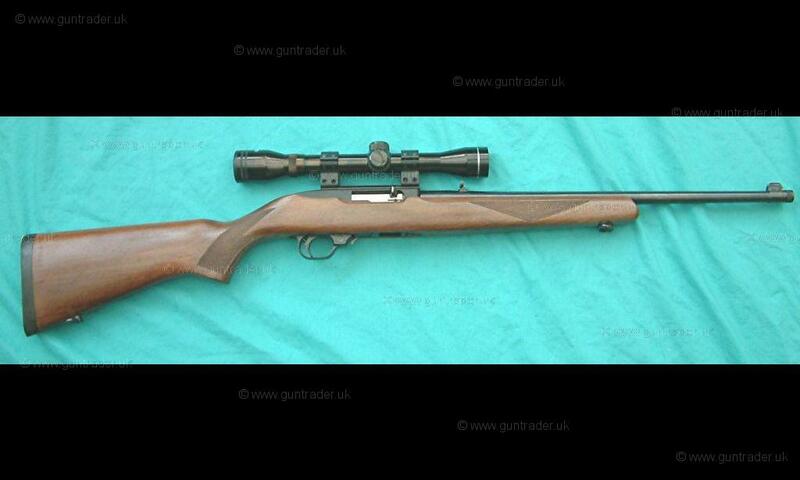 A Ruger 10/22 Deluxe Complete with Scope. 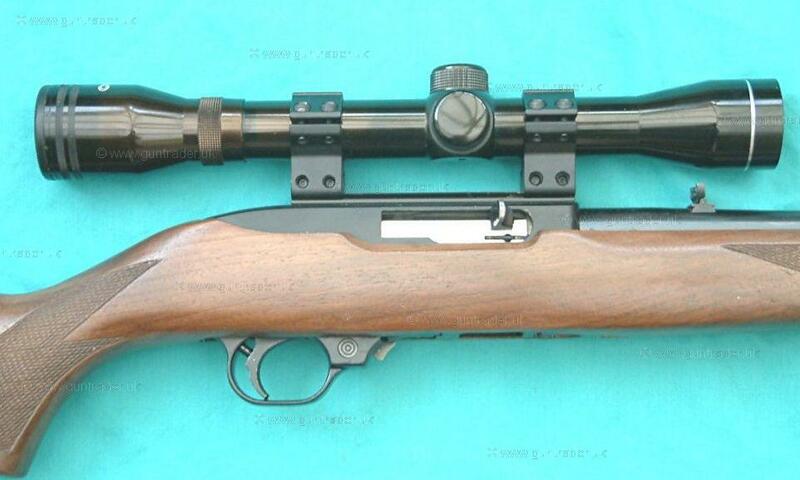 This is a fine example of the later type deluxe version of Ruger's famous 10/22 Model. 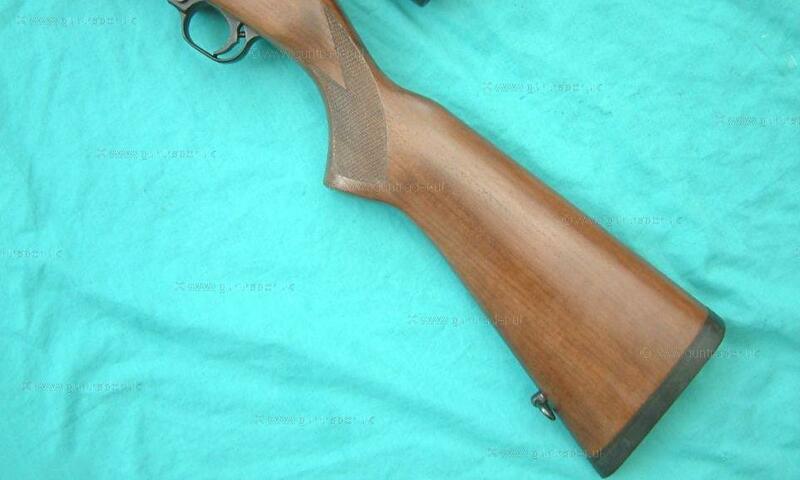 i.e It has not have the front barrel band, has upgraded wood and is complete with a factory fitted recoil pad. Just been fully stripped and serviced in our workshops. 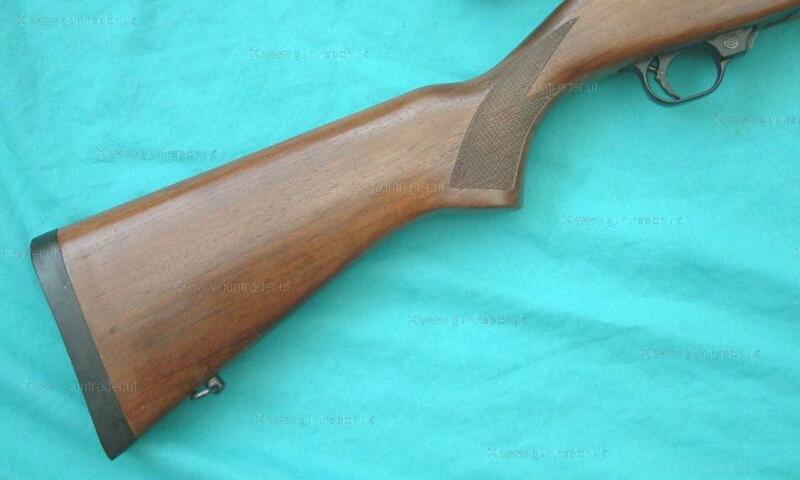 It retains it's original Iron Sights and is screwcut for a moderator. (We can supply refurbished Moderator's from £15-00). 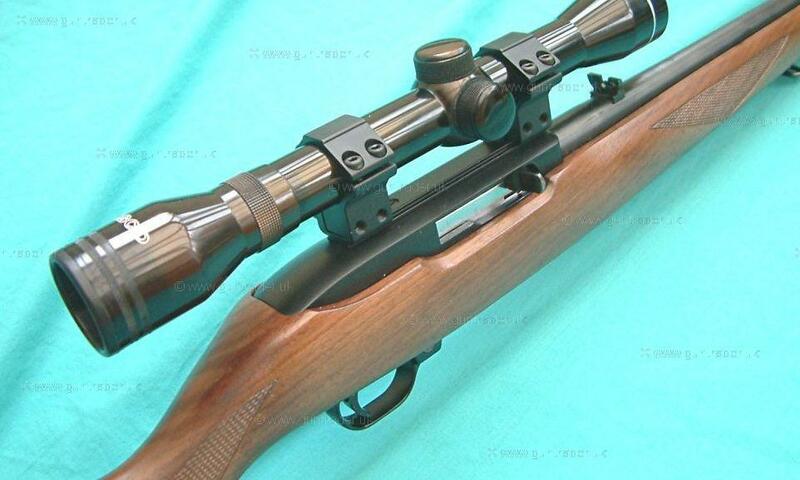 Teamed up with a Tasco 4x32 Silver Antler Scope. COMES WITH ONE YEARS WARRANTY. We can ship this gun to your local dealer. WE MAKE NO EXTRA CHARGE FOR THIS SERVICE. Contact us:- 01737-222998 or 07785 318148 email:- reigatearms@live.co.uk ALL MAJOR DEBIT/CREDIT CARDS ACCEPTED.